Finger Dye Spann's Forest Course, known as the most demanding track at KCC, spreads out through Lake Houston's marshy backwaters and is actually 6-8 feet below the surrounding terrain. The eeriness of being eye-level with the surrounding tree trunks makes for a unique round, especially since Finger Dye Spann used such extensive mounding to mold this water-resistant course. 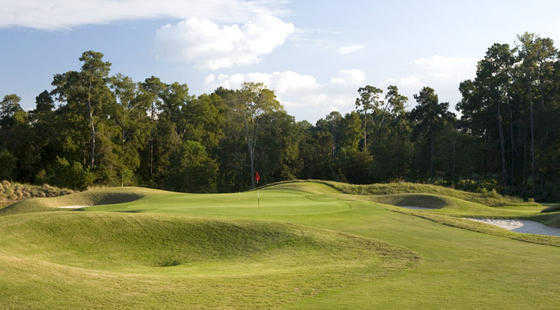 The track also features deep, massive bunkers, skinny fairways, and small greens. 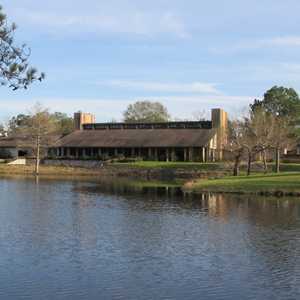 Lake Houston borders three holes, offering some respite from the below-ground sensations. 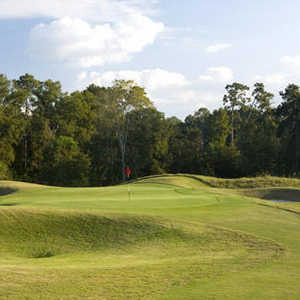 The signature of the Forest Course is the outstanding final stretch of holes that starts with the imposing 473-yard No. 15. Play it like a par 5, and consider laying up with the second shot to give yourself a reasonable chance at a short-chip up-and-down for par. 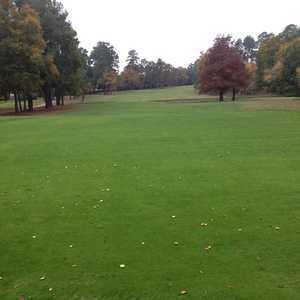 Otherwise you'll be hitting a fairway wood into a green surround by water and bunkers. If you do go for it, miss it right and bail out into the bunkers. 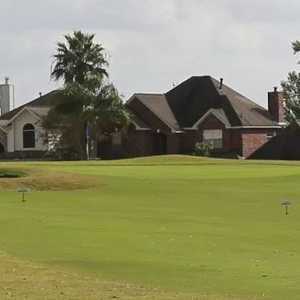 Finger Dye Spann has spoke highly of this course, calling that it "the best course we've done in Houston." Golf Digest was impressed enough to rate it the 16th best course in the state in 1998.